We all play a part in this…. We have a social responsibility to educate, support & encourage people towards better health which in my experience has shown to always lead to a better life. 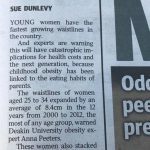 From my own experience with obesity & being overweight for a large part of my life I can say from the depths of my heart that they have also related to the times of my life that saw me at my lowest, my darkest & even at times where I’d lost hope. 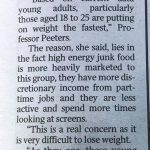 My extra kilos & the decision to shed them has also lead me to times in my life that were so free’ing, liberating, encouraging & of great accomplishment. I remember days where simply getting out of bed to achieve a shower was my greatest gift. I remember thinking I may never walk up steps one step at a time never mind being able to walk around the block! And the day that I started to walk & run again were like the first steps I’d ever taken….a rebirthing…and the disbelief I was achieving something I’d convinced myself would never happen again. Proof that you at times don’t need to visualise what you’re capable of before you discover it again. Oh how life changes when you connect back to your own source of love & wisdom. 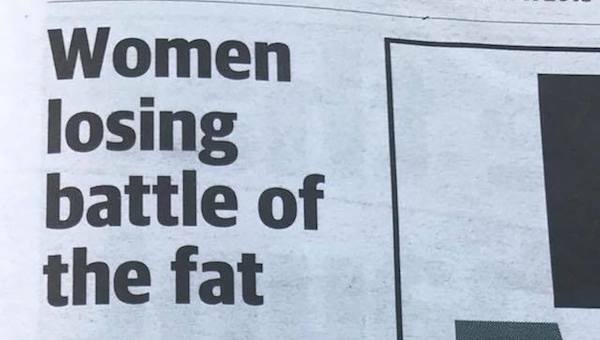 I believe the obesity epidemic is a social responsibility. It’s about people learning to love themselves again & believing that what they desire they can have a journey to self love & care – that they are worth it. And the life that exists there waiting for them. It requires education, support, encouragement & at times tough love to expose the learnings. 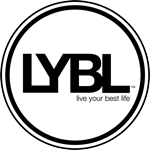 Live Your Best Life & the LYBL movement was created and begun for the simple purpose for people to design, create & live their best life. Through all areas of their life. I know first hand from listening to our members, our amazing community from the 1000’s of stories, testimonials & sharings from the depths of people’s souls & hearts as they traverse the shadows towards the light – that their journey back to themselves each time started when they learned to love themselves again – through strong values of health & vitality – it’s the one thing that people can claim & step into to find their power again. They can’t truly lay blame to others – it can’t remain external to them. Through this process I’ve witnesses their entire lives transform across their relationships, careers, business, personal growth & development, fun & recreation & they’ve also financially gained whilst bringing abundance to their lives. Health is the starting point for their best life because the learning is that they become one of the same – health and vitality are not separate to life for great health & the feelings of vitality are life. It’s no coincidence that as I’ve grown & evolved on my own personal development journey (and still continue to) & all that I’ve learnt about the reality I was shaping through living through my shadowland that I’ve been able to appreciate the light. That I’ve appreciated the gift of great health & all that it inspires in me. I’ve gathered up so many lessons in the darkness that have empowered me towards my own light & the light around me from others. It’s because of this that I invite people on the same mission to join me & to join us because together I believe we are responsible, we play a part & together we can make a difference. Together we can turn this baby around! Everyone in the world deserves to feel Healthe. It’s time to unite & spread the word through our own voice. One life at a time….